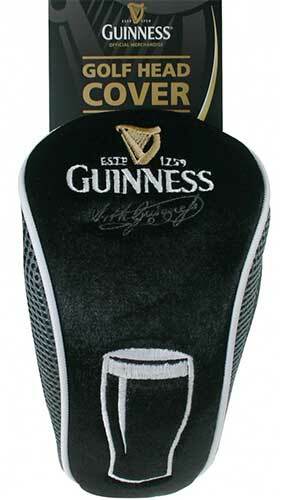 The Guinness golf club head cover will accommodate all legal drivers in use! 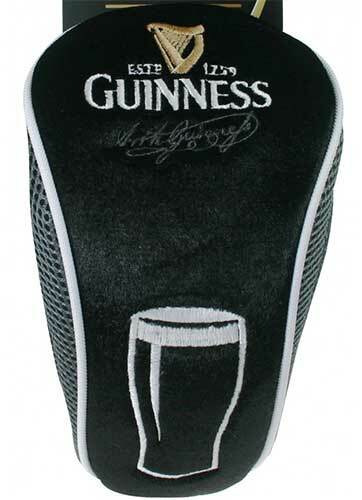 This Guinness golf club head cover features an embroidered branded logo along with the iconic Guinness signature. The Guinness head cover is enhanced with a long neck and naturally it is a black design with gold and cream accenting.